College-Prep Physics: Today the students presented their mini-posters to each other. Rather than having each group present to the whole class, I had students rotate through the posters “speed dating” style. 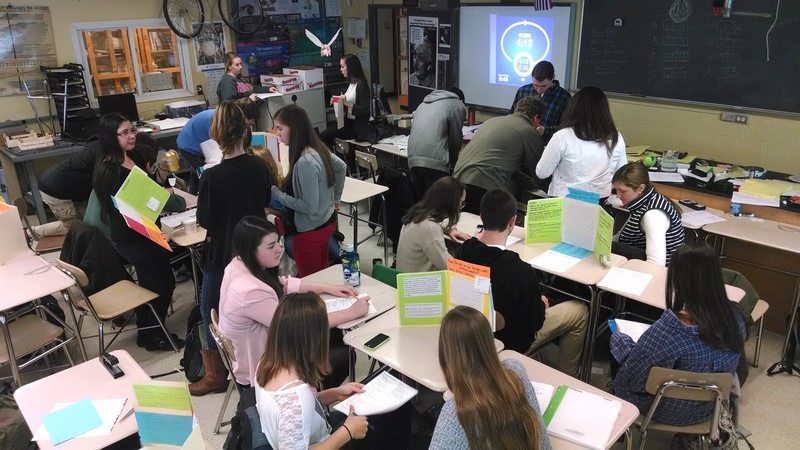 Each student got to present their poster to a small group of peers, with the groups rotating through the posters. Students also had to fill out an anonymous evaluation for each poster: Experimental Design Poster Checklist 2014. Presentations/evaluations lasted 5 minutes each with 30 seconds to rotate to the next poster. 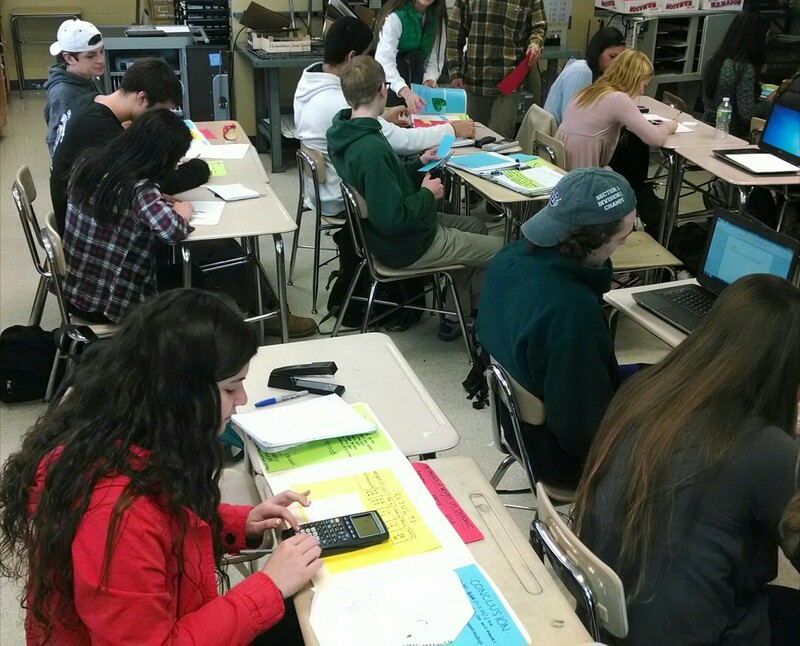 College-Prep Physics: Students hard at work on their mini-posters for their pull-back toy truck lab. College-Prep Physics: We’re wrapping up constant velocity motion, but have 1 week left before Christmas break. So to help prepare students for their midterm projects (which is a student-designed lab experiment), I asked them to design an experiment for a pull-back toy truck. Later in the week they will create a mini-poster and present their poster to peers. 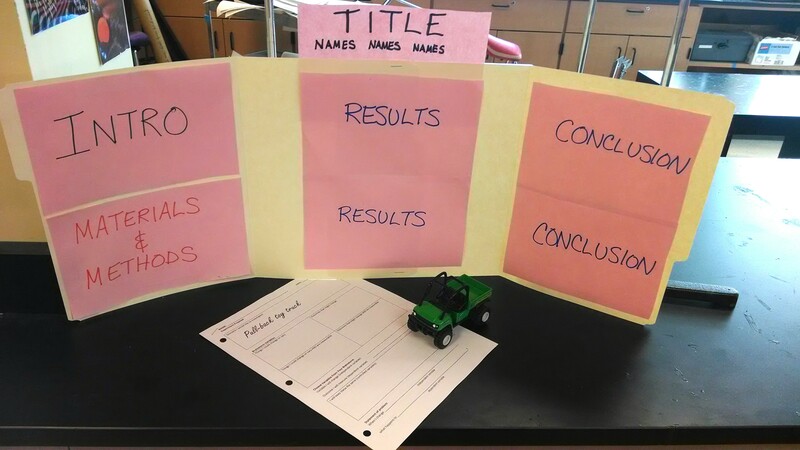 I also gave students some scaffolding with an experimental design packet. 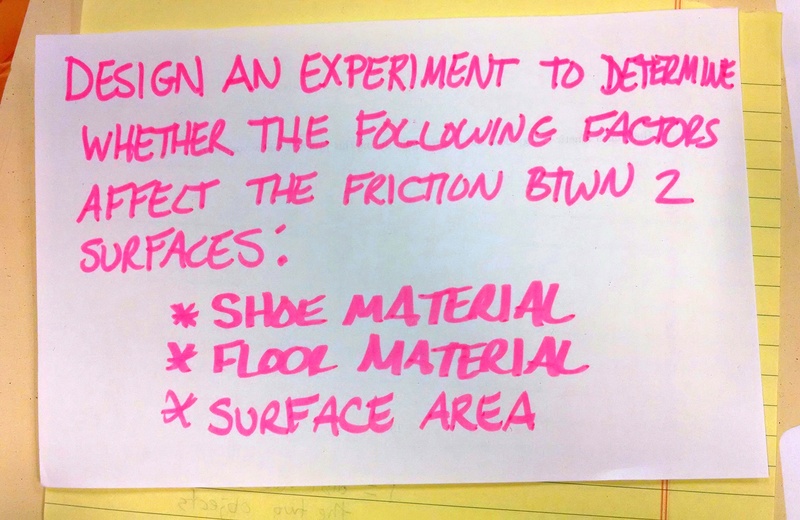 While they probably didn’t need it for this activity, I found that last year’s students had a hard time with experimental design for the midterm and final projects because it was a lot more open ended than today’s activity. They’ll use the packet again for their midterm project proposals. 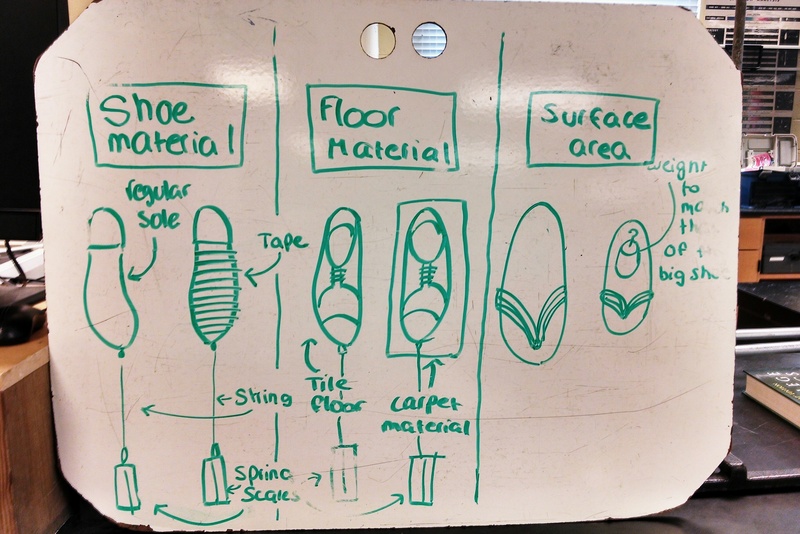 And I just let groups brainstorm and whiteboard their experimental designs first. I didn’t even tell them what materials they would have at their disposals to conduct their experiements — I just wanted to see what they would come up with first and not sway or confuse their thinking in any way.